With the passage of the new tax law, there is now an excise tax on excess executive compensation. Essentially, Section 501(c) and 501(d) organizations will now have to pay an annual 21% excise tax on employee compensation in excess of $1M. This rate of 21% is the top corporate income tax rate under the new law, and it’s assumed that large trade associations, universities, and hospitals will be most affected by this provision given that they are most likely to pay such high salaries. The way the law is structured, the current top five (5) highest paid employees, irrespective of position or title, whose compensation is in excess of $1M will be subject to this 21% excise tax. However, the taxes don’t stop there. As these five employees fall out of the top five in future years, they are still part of the group of employees that are subject to this excise tax provided they are making over $1M, along with any new employees that may have joined the top five. So, the group of employees subject to this tax isn’t limited to just five employees – it can grow as those in the top five change year-over-year. The good news is that licensed professionals providing medical services, including doctors and veterinarians, are excluded and should not be counted in this employee group. When calculating employee compensation, this will be the total of current compensation, deferred compensation, and excess parachute payments (an excess parachute payment relates to the present value of the parachute payment that is equal to or exceeds three times the base salary amount). Also included in the compensation is remuneration for services as determined for income tax withholding purposes and amounts required to be included in gross income under IRC section 457(f) — but excluding designed Roth contributions. This provision is also applicable to political organizations under 527(e)(1) and organizations whose income is excluded under IRC section 115(1), as well as related entities (such as parent organizations). Under the new tax law, there is a 1.4% excise tax for endowment investment income. This applies only to colleges and universities with endowments of at least $500K per student, and it is limited to institutions with at least 500 students and where more than 50% of the college/university’s student body is located in the US. However, this provision does not apply to state colleges and universities. As was the case before the new tax law, all income generated from unrelated business activities will be subject to UBIT; however, now at a lower tax rate of 21%. But there is a catch! Starting January 1, 2018, all income generated from unrelated business activities have to be calculated separately and the new 21% tax rate will apply to the income on each of those individual activities. Therefore, you will be unable to net the activities and pay the 21% on the whole amount as was the case before the new tax law. Thus, if you have an operating loss on one unrelated business activity, that loss carries forward to the next year as opposed to being netted against the profit making activities for that year. Perhaps an area that will affect many nonprofits, certain fringe benefits are now subject to the 21% UBIT rate. These fringe benefits include qualified transportation, parking, and on-premises athletic facilities. The cost of these benefits, if provided by the employer, should be calculated and a 21% UBIT paid on them by the employer. 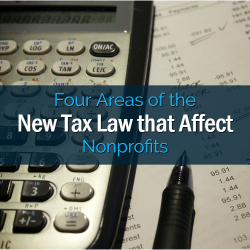 There are other concerns with the new tax law and its impact on nonprofits. One such concern is that the increase in the standard deduction could cause less people to donate to nonprofits going forward since there would be no need or incentive for them to itemize their deductions. In addition, the limit on the amount that a contribution can be deducted has increased from 50% of an individual’s adjusted gross income (AGI) to 60%, charitable deductions for amounts paid for college athletic event seating rights has gone from 80% to 0%, and the indexed Estate Tax exemption has doubled from $5.5M to $11M. Needless to say, there is a lot of uncertainty in the tax community about how the IRS will apply some of these rules as the new law was put together rather quickly, left a lot of room for interpretation, and was issued without going through the proper questioning period. Given that, it is always best to reach out to a tax accountant or your organization’s audit firm before making any assumptions. 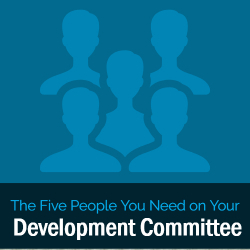 Development committees can be critical to the success of any non-profit’s fundraising efforts. A great development committee can drive an annual fund campaign to success, secure new sponsors for special events, and play an integral role in cultivating and stewarding donor relationships. In short—they can be every Development Director or CEO’s secret to fundraising success! So, who belongs on a development committee? It’s true that any one passionate board member could be a productive, contributing member, but just like any strong board of directors, a development committee requires a certain set of skills and resources be combined for best results. I once had a professor (who also happened to be a seasoned executive with years of experience at the helm of one of our nation’s non-profit giants) sum up board development in one sentence: “You want the number 1’s or the number 2’s,” she would say, referring to business owners and corporate leaders in top positions. She believed strongly that when you engage corporate leadership, they bring with them more than just their own resources and teams—they bring along their partners, their vendors and suppliers, and they open doors to resources you may never have imagined. In my experience, I have known this to be true. For the smaller non-profit, this might be intimidating. However, look at the composition of your own board. Do you have top leaders of local businesses or corporations? Who has access to the strongest networks? These individuals need to be engaged on a development committee. 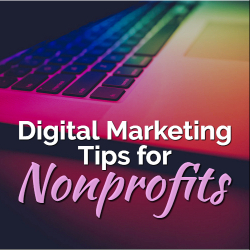 Often times, marketing departments are a luxury only afforded to larger non-profits or those few that are willing to invest in them as a means to strengthen fundraising efforts. However, whether it’s a marketing professional from your board of directors or your internal team, your development committee needs their participation. The right marketing professionals can aid in developing a cohesive communications strategy, help raise brand awareness, and can take your sponsorship materials and marketing collateral to the next level. At a time when so many non-profits are competing for event attendees and individual donors, delivering a polished professional image and engaging materials could be the key that helps you stand out to donors. Let’s face it. Not everyone is comfortable soliciting donations, even when they love and care for the cause. What good is access to strong networks and awesome marketing materials if you can’t muster up the courage to ask for support? The key to a successful development committee is making sure it’s made up of individuals who aren’t afraid to make the ask! I refer to them here as salesmen and women; however, in reality, they are any members of your board with the passion and confidence needed to connect with prospective donors and ask them for support. When it comes to inviting members of your board to join the development committee, start with those you know fit this description and then utilize them at every stage of fundraising—cultivation, solicitation and stewardship. Every development committee should have a good understanding of the financial position and needs of the organization. Having the board treasurer sit on the committee is a good way to ensure that the committee receives regular financial statements, and can closely monitor income and expenses. The board treasurer can provide valuable insight and answer questions relating to the budget and financial history of the organization. And, besides, everyone needs a good numbers guy! As a best practice, the development committee should be chaired by a board member. However, the chief development officer or executive director (or in some cases both) should be a key member of the development committee. Not only do they ensure the committee has access to necessary internal reports, but it is ultimately their responsibility to implement the development plan with support and guidance from the committee. 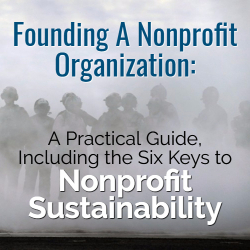 Every nonprofit organization begins with identifying a need and responding to it. Whether your organization is large or small, there is a mission at the core that needs to be nurtured and managed in order to sustain and grow the organization. 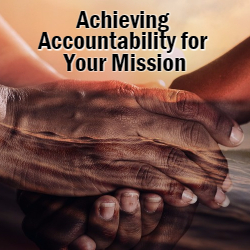 Accountability is an important part of managing a nonprofit, not only for financial matters but also for regulatory requirements, fundraising and measuring effectiveness. Here are a few strategies for making sure your organization has the right information to make important decisions. Understand clearly what the core mission of the organization is and develop systems to measure both effectiveness and cost. An organization providing services for substance abuse, for example, may begin with outpatient or inpatient services which are partially funded through fee for service, primarily through insurance or government funds. Private donations can make up the deficit which is likely to occur in these operations, since government funding is uncertain. Accounting systems must provide prompt and accurate information about costs for reimbursement. Billing systems need to be sophisticated enough to be sure that there are controls in place to bill and collect on a timely basis. Statistics need to be reported to regulators and documentation about the nature and extent of services performed is essential. Don’t sacrifice your core mission in order to provide related services. In the organization above, for instance, the population which is utilizing the services often have other needs that require attention. Sometimes your organization is in a position to provide those services, through volunteer or fundraising efforts and a plan to expand the organization makes sense and is financially viable. Unless you have a clear focused plan and know where the financial resources to support that will come from, you may not be able to serve that need, no matter how great it is, without jeopardizing the organization. Consider collaboration with like-minded organizations that have similar or compatible constituents and goals. An educational arts organization might consider partnering with local colleges, with other arts organization or with an historic preservation group. Sharing of “back-office” staff, including accounting and development can enhance all of the organizations without taking away any of their control over their goals or mission activities. Formalize and update mission statements, by-laws, conflict of interest and whistleblowing policies. Consider the composition of the Board of Directors or Trustees and make clear what the expectations for membership are. Make sure the Board understands what is expected of them. People like to support things that are important to them – find ways to make that happen, in addition to Board service. Volunteers for Hospice, for instance, can be flexible, provide needed companionship, help in a retail store, fundraising or provide clerical support. Local businesses may provide a “service day” where their employees provide a day of help in specific areas, perhaps painting the reception area or collecting food. Identifying and organizing these roles gives management and staff more time to focus on organizational stability and growth. Don’t neglect your financial records. In order to sustain the organization and achieve its mission, someone has to be sure that the funds to continue it are there. It is not as rewarding, perhaps as working directly with constituents or successful event planning, but it is essential. Timely and accurate financial records are essential for management to determine strategy. Cash flow is critical in a nonprofit organization, payrolls need to be met, rent needs to be paid and funds need to be raised to support that effort. The business officer and staff need to be a valued part of the management team. Cuts in funding for nonprofits are threatened at both the Federal and local levels. Donors are faced with choosing among many worthy organizations and causes. The nonprofit sector will face increased challenges in the months ahead. Accountability is a critical element of success. The success of a nonprofit hinges on several factors. Expenses must be managed. Staff must be able to work effectively and promote the organization’s mission. And you need the right board of directors that can provide more than just financial support. Choosing the right board members is crucial to the viability of the organization. Perform a thought exercise and image if you could pick any public figure or business executive for your board. How would you select that person? Beyond just their financial potential, what type of person comes to mind? A titan of the tech industry that is a leader in innovation and promotes sustainability? 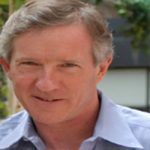 A veteran executive with thousands of contacts within business and politics that can prove invaluable for your organization’s growth? Think broader than these types of characterizations and consider what type of person is ideally suited to be a director. Choosing a short-term solution in the form of a deep-pocketed but disinterested director won’t pay large dividends down the road. You want to recruit board members that truly embrace your message and can effectively pair that enthusiasm with their multiple layers of personal connections. “Thought leader” is a term applied to nearly every senior executive and business owner, but what does it truly mean? To determine if the person is a go-to person in their space, you have to look beyond their company bio. 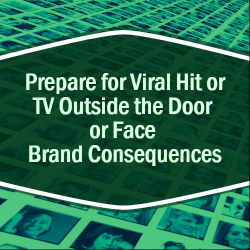 Is your director prospect frequently quoted in the news regarding their industry opinion? Are they speaking at the top conferences and receiving recognition for their work? Talk to other top people in the industry to gauge your prospect’s standing. Are they well-respected due to accomplishments and knowledge, or are they using blustery self-promotion? You want a subject matter expert and a strategic thinker that you can turn to when challenges present themselves. It’s 2017, which means social connections matter, not just the “Rolodex”. Does your prospect engage with other individuals via social networks? Do they have a following of people that want insights and a glimpse into the prospect’s persona? All of these peers and friends can be later leveraged as connections, giving your organization a massive reach to contributors and potential donors. If you have a donor in mind based on their prior giving, were they also involved in the nonprofit in some manner? Previous board members or those that have led partnerships are good candidates because they understand how to fundraise and how to generate support for nonprofit missions. 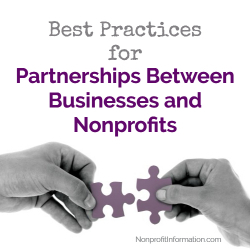 Prior experience also means they already have nonprofit connections, whether it’s with other organizations or a donor network. 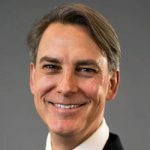 You certainly shouldn’t discount an interested board member who brings money and connections to the table, but it is helpful if they have a clear understanding of the peculiarities and subtleties of the nonprofit landscape. Judging the “passion” of an individual is difficult, but not impossible. Do your research about potential directors to see if your interests align. For example, are they a CEO of a firm that strives for maximum sustainability, which would tie-in nicely with your organization’s environmental and recycling mission? Did they previously do a stint in the Peace Corps in South America? How does that relate to your goals and the mindset you need for a new director? 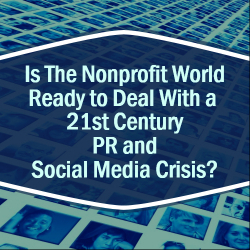 This research takes time, but thankfully there are technology tools out there that are helping nonprofits to see not only the giving patterns of individuals, but also their “relationship capital” in terms of how connected they are with the people that get things done. 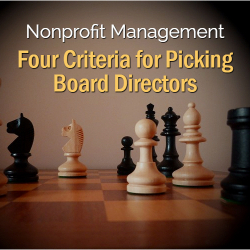 Managing a nonprofit is challenging enough, and can be downright impossible with a set of disinterested directors in place. While of course you need board members that can contribute financially and provide introductions to other philanthropically-minded individuals, it’s also vital for directors to possess certain traits. 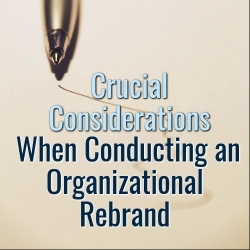 Selectively reviewing prospects for these traits and for their expansive network of connections will ease some of the burdens of nonprofit management by providing your organization with incoming donations and trusted strategic partners. 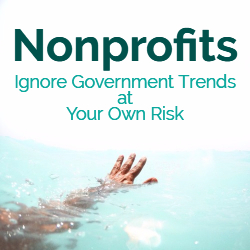 You can bet your bottom dollar that there are government initiatives somewhere – in Washington, your state capital, or local levels – that are underway, and they may have a big impact on nonprofits generally, and maybe your nonprofit specifically. Government machinery is not stagnant, as it constantly reacts to changing political, social and economic environments, thereby creating change to the various constituencies; nonprofits are certainly not immune. Many nonprofits, some more than others, are heavily reliant upon government programs and contracts to support their operations and budgets. Some nonprofits receive as much as 80% of their funding from governments, including federal, state and even locally. Even if your organization does not receive substantial government funding, keeping a watchful eye on government activity and proposals is essential. For instance, federal and state initiatives to raise the minimum wage can have a substantial impact on your workforce, as well as recruitment and retention policies. Another example is local government efforts to change laws or ordinances relating to property tax exemptions or payments in lieu of taxes (“PILOTS”) for nonprofit facilities. Bills: Legislative bodies at all levels introduce hundreds of bills or legislation that would affect your organization. Most nonprofits belong to federal or statewide advocacy groups that monitor proposed bills. I highly recommend joining these organizations. There are also websites such as, www.govnetweb.com that provide status reports on individual bills. Budget: When the President or the Governor presents the budget, it is helpful to obtain a copy of the budget address and read it, as this address lists the spending priorities for the year. You may also want to go to the appropriate department’s website for notices about the budget. The most notable current example involves the federal and state approaches to Medicaid funding, much of which is dependent upon the future of The Affordable Care Act (Obamacare). Bureaucracy: Many people call the “bureaucracy” the “hidden government.” Well, bureaucrats really aren’t hidden but they are powerful. In addition to monitoring contracts and licensing issues related to nonprofits, bureaucrats also draft new regulations pursuant to statutory authority. Regulations may not receive as much media attention as legislation, but they are important. As an example, in 2016, the Obama administration proposed a significant change in the overtime exemption rules under the Federal Labor Standards Act (“FLSA”). Ultimately, the rules were enjoined by a federal district court but nonprofits everywhere were scrambling to adjust their budgets and workforce standards in an effort to comply. Nonprofits are not supposed to be political or partisan and that is a good thing. * Our missions and our clients are what matter. However, failure to monitor what occurs at every government level can result in reversal for any business; for nonprofits it is even more imperative as governments are often our partner in providing safety net services. Get to know your congressman, your legislator or your mayors; sometimes it helps to get to know key staffers as well. When something is happening, they will (or should) be there to listen to you or your organization’s concerns. Engage your Board members as well. Nonprofits are an essential part of our democracy and our ability to serve or help the most vulnerable of our citizens. Don’t get left out! *Ironically, there are several proposals in Washington that will allow nonprofit organizations to become “political” and “partisan.” Personally, I believe that this is a grave misdirection, but that is a whole other discussion.